This continues our series of weekly roundups of the Fall/Winter Leagues. Coverage will continue every Monday into January. For the full list of Red Sox prospects participating in these leagues, check out our Fall & Winter Leagues page, which will be updated continuously through January. This week's roundup covers the period from December 26 to 31. Roenis Elias (pictured) got the start in Aguilas' first playoff game. After three shutout innings, Elias fell apart in the fourth inning and ended up surrendering three runs (two earned) on four hits. He struck out five and walked just one. Aguilas has a 2-1 record so far in the league's round-robin semifinal round and will continue action tomorrow. The semifinals will continue through January 18. Esteban Quiroz played in two games and went 2 for 7 with a double, three walks, and two runs scored as Mexico wrapped up its regular season. Aneury Tavarez joined Quiroz and Mazatlan this past week and played in three games. He went 3 for 10 with a home run and three runs scored. Hector Velazquez made another start and allowed just one unearned run in 3 2/3 innings pitched. He struck out three and walked two. Mazatlan and Velazquez's Navojoa squad have both advanced to the playoffs as well. In the final week of the Venezuelan regular season, Juan Hernandez appeared in just one game and went 0 for 2 with a walk. He hit .261 with a .354 OBP this winter. Deiner Lopez finished up a strong winter by going 4 for 11 with a double, a walk, two RBI, and a run scored. He finishes the season with a .312 batting average. Both players' respective teams have advanced to the playoffs, which begins with three best-of-seven series. The four-team league's abbreviated season (due to Hurricane Maria) will get underway on January 5. 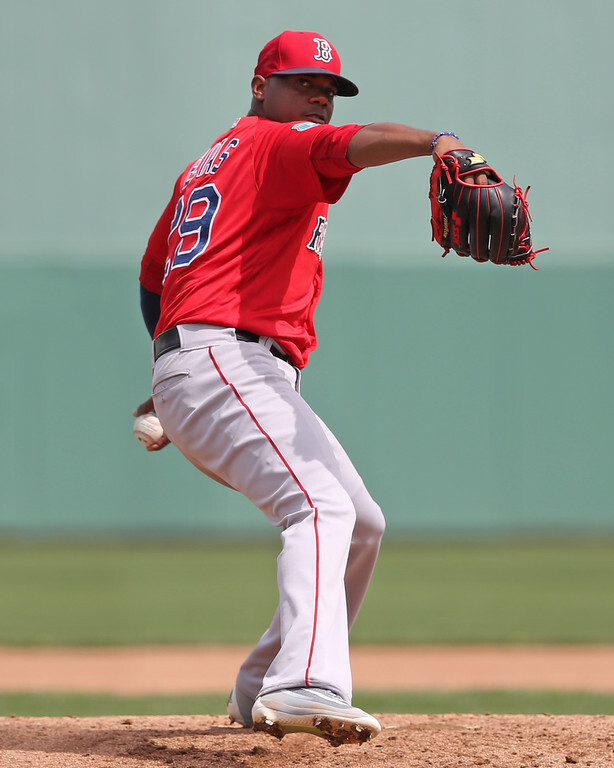 Although one roster has yet to be released, we know that Rusney Castillo will play for Caguas, Joseph Monge will play for Santurce, and Jeremy Rivera will play for Mayaguez.